If you are a Snoop Dogg or Rise Of Nightmare fan, we have an interesting news for you. Recently Snoop Dogg released the album art for his track which is called “Heavy Hittas”. The album art is a complete rip off from the original Kinect game Rise Of Nightmares, which has caused everyone to ask why. Making Original Art is hard, but that doesn’t mean you can search on google, edit existing art and put your name on it. This is exactly what happened here. The resemblance is real, the album art is exactly similar to the cover of the game which came back in 2011, Rise of Nightmares. 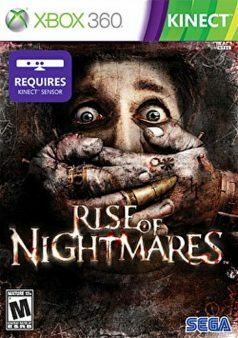 Rise of Nightmare is an old game and released on Kinect which is almost dead and not supported by Microsoft right now. Th album is presented by a California label company called “DLK Will Kill You” and is made by Snoop Dogg in collaboration with V-Town and Frisco GO for the track “Heavy Hittas”. The cover shows a terrified man whose mouth is covered by a pair of hands. You can see both artworks below side by side. Do you see the resemblance? The difference you’ll notice in “Heavy Hittas” art where it seems like they have edited out the accessories and tattoos from the hands which are originally present in the original cover of the game. Though the nails are present in both images. According to USgamer, Sega is investigating the issue. We hope to hear more about this matter whether it was done intentionally or is all a mistake, we will have to wait to find out more. In other news, Snoop Dogg always keeps himself close to the world of gaming and he even showed off a Spyro tee when he got to know that Spyro the dragon is returning to PS4 and Xbox One this year.